We embrace the historic and orthodox teachings of the Christian faith as found in the Holy Scriptures, the Bible, according to the following statement of faith. We also practice the Augustinian idea that in essential matters of doctrine and theology we have unity, in non-essentials we have liberty, and in all things we show charity or love. Through our affiliation with Southern Baptists, we also embrace the Baptist Faith and Message 2000. We believe in the verbal plenary inspiration of the Scriptures (both the Old and New Testaments) and that “all Scripture is given by inspiration of God.” We believe that the original autographs are without error because of the work of the Holy Spirit as He moved each man to record the words of God. 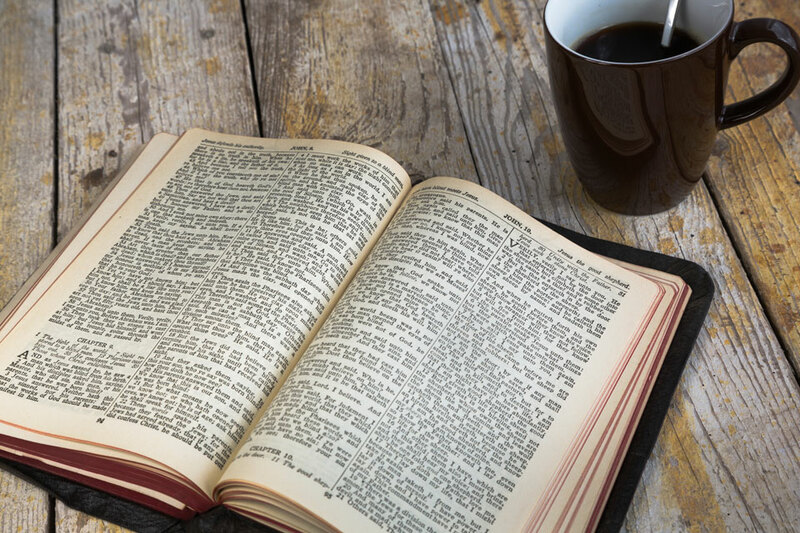 We believe that the proper way to interpret the Bible is by using a literal, historical, grammatical method of interpretation. We believe in one God with three eternal distinctions: God the Father, God the Son, and God the Holy Spirit. They are the same essence, but separate in personalities. We believe that the Holy Spirit is God and indwells every believer at the point of salvation. We believe that the Holy Spirit convicts the world of sin, and of righteousness, and of judgment; that He is active in the new birth; that He testifies of Christ; that He seals the believer unto the day of redemption, and that He makes intercession for believers. We believe it is essential for man to be filled with the Spirit and controlled by the Spirit by keeping sin confessed and walking in the light. We do not adhere to the teaching of a subsequent "baptism" of the Holy Spirit as evidenced by speaking in tongues. We believe that the biblical gift of tongues was only operational during the age of the Apostles as a sign gift to unbelievers. We believe that Satan is a living being who is void of truth. We believe also that he is god of this world who has blinded the eyes of them who believe not and that he is in constant battle against Christians. We believe in and accept by faith the literal Genesis account of creation. We believe that God created all things, including man. We believe in a literal hell of everlasting fire, everlasting destruction, and everlasting punishment. We believe in a literal heaven where Jesus is today preparing a place for His believers. We believe that only those who have received Jesus Christ into their hearts will be able to enter into heaven. We believe that God created man in innocence, but by willful disobedience man sinned and because of this, everyone is a sinner with an inherited sinful nature. Therefore, man is under just condemnation without defense or excuse. We believe that salvation is of the Lord on the merit of the shed blood of Jesus Christ. Salvation is a free gift that excludes any possible merit on the basis of works. We believe that the two essential doctrines that must be present in every lost person that wants to be saved are repentance and faith. We also believe that once a person has been saved that there is no chance of his ever going to hell and that he is eternally secure in Christ. A public profession of salvation is a prerequisite to church membership. We believe that the local church is a group of professing believers in Christ who unite together to serve Christ. From this same commission, the church also has the responsibility of teaching, evangelizing, and baptizing. The local church should also provide fellowship, worship, and prayer. We believe that the Lord’s Supper symbolizes the Lord’s death and is open to all who have received Christ as their Lord and Savior. We believe that baptism is a symbol of the believer’s identification with Christ in His burial and resurrection; therefore, profession of faith in Jesus Christ as your Lord and Savior is a prerequisite to baptism. Baptism is an act of obedience that follows salvation; it is not a requirement for salvation. We believe that the only Scriptural mode of baptism is by immersion in water and is a prerequisite to church membership. We believe in the imminent, pre-tribulation rapture of the church in which Jesus Christ calls all believers from the earth to meet Him in the air to be taken to Heaven. This will be followed by a seven-year Tribulation period that will culminate by the premillennial, bodily return of Jesus Christ to earth to judge the earth and set up a literal one thousand year Millennial Kingdom. This will end with the Great White Throne Judgment that will be followed by Eternity. We believe the Bible teaches that marriage is the exclusive, covenant relationship between one man and one woman. While sexual intimacy within the marriage relationship between one man and one woman is approved and even celebrated in Scripture, we believe that any sexual intimacy outside of this covenant relationship is sinful and prohibited. Further, we believe that God created human beings in two distinct genders: male and female. We believe any attempts to alter or change one’s gender are prohibited and sinful.